Well, I've been away from my sewing machine for one month (hard, I know), but I didn't keep my hands idle. I brought with me a project I've had for a long time now (well, a little more than a year, but still...). 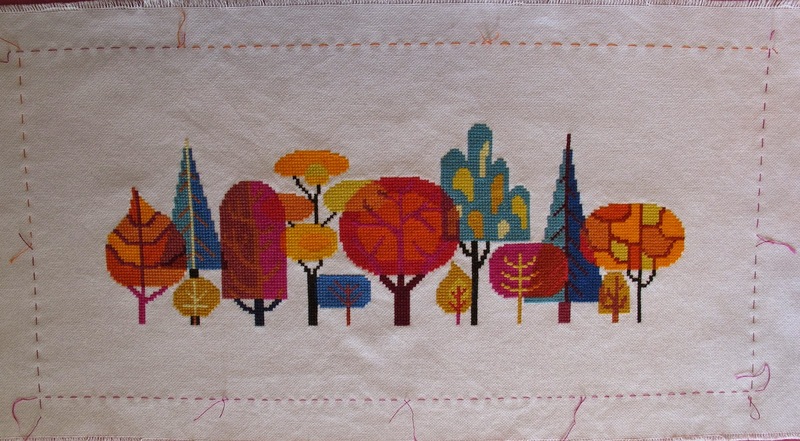 Satsuma Street's Forest cross-stitch pattern. Yep, it's a lot of colors. Each year DMC has a special offer : 3 bought, one offered. And given there's at least 20 colors in this, it was welcome. 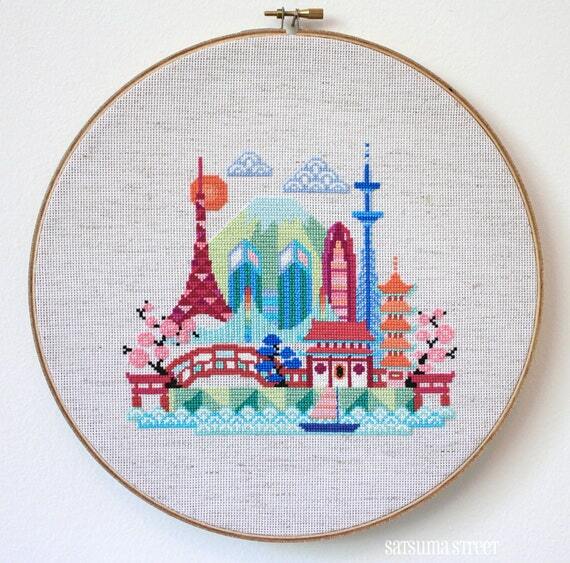 The canvas is a 10 count (25 for people across the Atlantic) cotton evenweave. I used 3 strands over 2. The threads around it mark the size at which it will be framed. (23cm x 48cm) Unfortunately I left it at my parents so I won't be able to make a good photo of it before long. The pattern was very good and easy to read, given the number of colors. I just regret there hadn't been a black&white version of it, as I can't print in color. (and had to lighten it so it was not just a big dark grey blot).